Happy New Year! I'm not feeling too happy today, as I've been sick for days, combination of things, the worst being a tooth and my dentist is out of town over the holiday weekend. So, yeah, I haven't been doing anything but trying to rest on the couch since the pain pills don't mix well with staring at the monitor, nausea. A couple of emergency room visits, fun way to spend the holidays! I managed to grab the laptop last night and just putter around on the couch for a bit last night which cheered me up a teeny bit. I've been so bored, just in and out of sleep mostly. I figured I'd pop in for a few to wish everyone a Happy New Year and to try to write a few things I am looking forward to this year. IRL I plan on being more healthy, I've managed to lose almost 50lbs recently which has caused me to feel and look better than I have in years. I plan on keeping that as my first personal priority- my health! The biggest thing was cutting out junk food and sugary drinks and I really don't miss them. So, anyhow, hope everyone has had a lot of fun over the holiday weekend spending it with family, playing great games and all that stuff we do over these holiday weekends. Things I am looking forward to or have hopes for in 2012! *Dragon Age 3- Really looking forward to seeing this title this year and hearing more about it. *Everquest- Free To Play- I'd love to hear that announcement. I think the F2P market is a in a good spot and we'll be seeing more well loved titles joining the ranks. I don't know if 2012 will be the year for EQ to go F2P but it surely would be nice. I think EQ2 will flourish on this model, so this could give SOE incentive to try it with the original. *GW2- I truly hope this one is a fun alternative to what is out there now, something refreshing. I am anticipating playing this before 2012 is over. Plus, who doesn't love no subscription fees! I really enjoyed GW for years and I think this will be a nice game as well, I am getting more excited about it now that 2012 is here. *MoP- WoW's latest expansion, here's to hoping it is more enjoyable than Cataclysm was. I just wasn't too impressed, maybe I'm more nostalgic these days. *D3- I'm sort of mixed on this one. I think the real money transactions will be something that are interesting at first but will more or less not be as appealing as anticipated because of the allowances on 'withdrawing' your money. We shall see though. I do think it will be a fun game to play and I can't wait to get my hands on it! *SWTOR- I wish BioWare a great year! So far I am loving this game and really hope to play it more once I start feeling better. Nope, no real predictions, my head is so fogged up from pain killers. May you all have a blessed and happy new year! Thanks for stopping by. I sure hope you will feel and get alot better before Tuesday! What a weight gain wow and you look sooo awesome now! 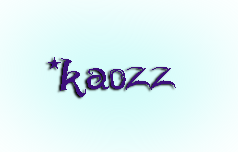 Sorry to hear you're under the weather, kaozz. A belated Happy New Years nonetheless!